Hahahaha, I am so happy that I still have time to join the Pinspired Challenge #8. See from their blog it is 3 hours more to go!!! Aw!!! I knew Pinspired Challenge from one of my super lovely idol. Her name is Annette. She is so talented and all her creations are just super AWESOME. 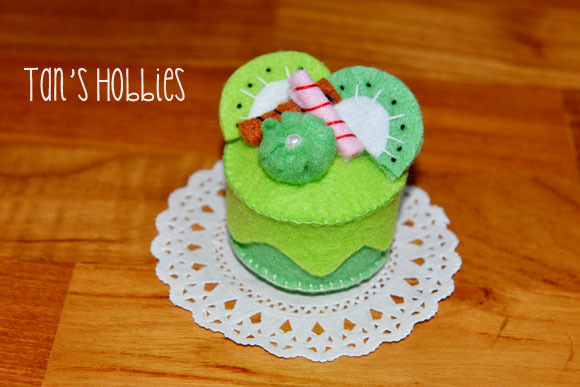 Thanks for visiting my blog, lovelies!!! Oh my goodness, those are just super adorable! Oh my gosh Tan - these look good enough to eat - at first I thought they were real!!!!! You are so talented sweet lady! 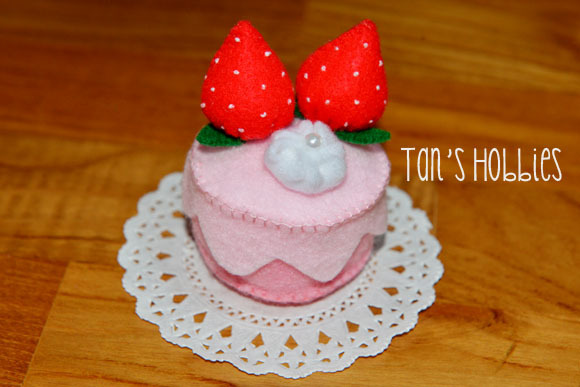 Wow Tan - simply adorable... love everything about your felt making...These are just amazing, so talented my friend.. 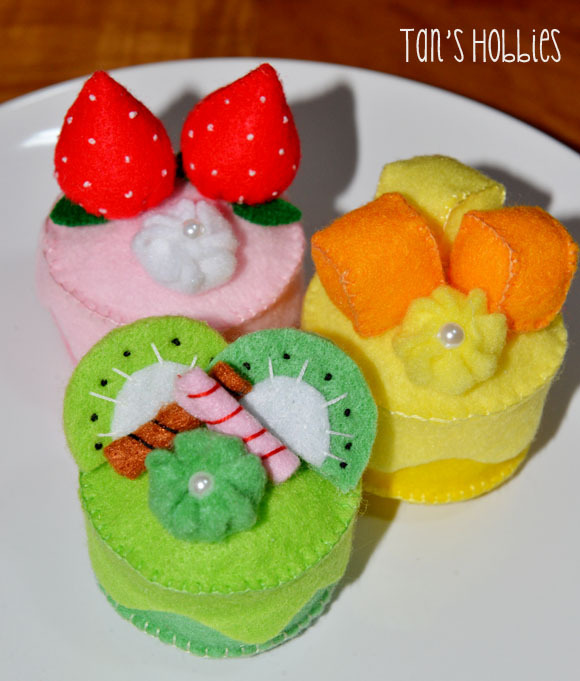 These little cakes are so cute!! 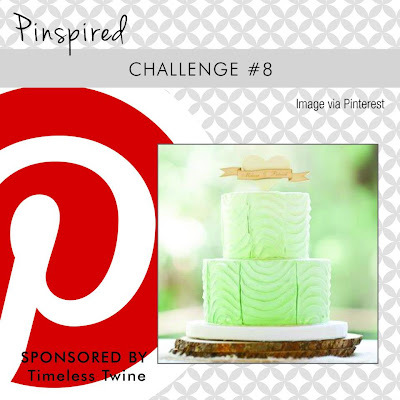 Thanks for playing along with us at Pinspired Challenges! 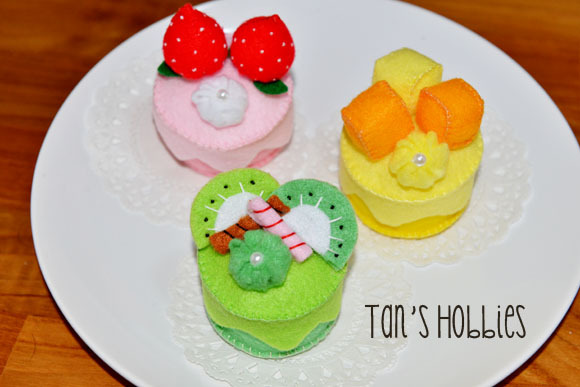 Hello Tan, these cakes looks delicious.They make my mouth water, hahahaha. Wow, they look so yummy! 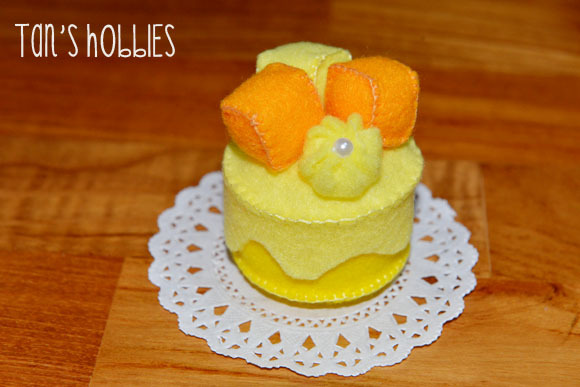 Super cute and creative! Love the strawberry one! Super lovely, dear !!! The details are sooooooooooo great !! !